Injuries can be incredibly difficult to deal with, but when they’re severe and life changing it’s even more of a challenge. They can take a huge toll on your body and affect you both mentally and physically. It’s so important to know ways of coping with your situation that can help you create a life that excites you, despite all that you’re going through. Check out these 6 tips for coping with a life changing injury. This is certainly much easier said than done, but it makes so much of a difference in finding a positive attitude. Learn what your current limits are, and do what you can to push even further. When you accept where you are, you can start to raise the bar higher! When you set goals for yourself, make sure they’re achievable. If you set goals that seem impossible, you may end up feeling defeated or discouraged and eventually stop trying. If your objectives are within reach, you’ll just keep growing! With physical limitations, you may not be able to engage in activities you once loved such as playing sports or perhaps you had to consider driving retirement. Is there a solution you can find to somehow enjoy your favorite activities in another way that works for your body? Is there a different activity you can use as an emotional outlet that can help with your healing process? There’s no doubt that spending time in nature is an incredibly healing experience. Do what you can to breathe in fresh air every day and feel the warmth of the sun on your face. Spending time with your friends and family can be so comforting. It might be difficult, however—particularly at first—to spend lots of time with people who haven’t experienced what you’re going through. Consider searching on social media platforms to connect with groups of people experiencing similar injuries. This can help remind you that you’re never alone—there are always others who share a similar experience. Connecting with like-minded people creates a strong support system that can help with the healing process even more. By maintaining a positive attitude and an overall great mindset toward life, you set an incredible example for others. Whether or not others are going through something similar to your experience, they still look up to the example you set. Ultimately, by inspiring others to be the best version of themselves they can be, you’re also empowered to be the best version of yourself that you can be! According to personal injury lawyers, if you or a loved one suffered a personal injury, you could be entitled to compensation for the loss of your ability to enjoy time spent with family and friends. If you’re injured, don’t wait to reach out and have an experienced lawyer advocate on your behalf. Medical emergencies are traumatic and stressful both financially and emotionally. Preparing yourself for an emergency helps you lessen the negative impact that these events can have on your financial well-being, your work and your household. Look over these tips to understand how you can reduce the threat of disaster before it hits. Cardiopulmonary resuscitation (CPR) is an easy skill that anyone is capable of and should learn—especially since roughly 70% of heart attacks happen at home. Unfortunately, over 50% of Americans are helpless during these situations because they don’t know how to perform CPR. It doesn’t have to be this way. Organizations like American Red Cross and the American Heart Association offer CPR courses regularly, and all it takes is a phone call to register. Understand the warning signs of a medical emergency. Aside from CPR, you should also learn some of the most standard medical emergency indicators. The American College of Emergency Physicians states that some warning signs may be confusion, suicidal thoughts, severe vomiting or diarrhea, abdominal or chest pain or pressure for more than two minutes. Other symptoms include uncontrollable bleeding, difficulty breathing, vomiting or coughing up blood, sudden dizziness, an alteration in behavior or mental status, sudden vision changes or slurred speech. It is always best to seek professional help because these signs aren’t always that of a medical emergency. Keep a first aid kit in your car and at home. Keeping a well-stocked first-aid kit helps you ensure an efficient and timely response to sudden injuries and illness. Be sure that you have one wherever you go, including your house and car, at all times. You can purchase already-assembled kits from pharmacies, or you can create your own. Aside from standard items like scissors, bandages, a flashlight with batteries and adhesives, your first aid kit needs to include your medications (i.e., antihypertensives, anti-allergies) as well. The American Red Cross offers a complete list of first aid essentials for the public. Make a full list of your family’s medical information and their consent forms. A complete list of medical information for every family member, such as known surgeries, illnesses, physicians sought, medications and history of hospitalization can help doctors intervene swiftly and appropriately during an emergency. Make sure to bring this list with you to the emergency room. It is also smart to have everyone’s consent forms at hand as well as their medical history if authorization for treatment or procedure is needed and the individual is unable to give consent. Keep all hospital and emergency room phone numbers handy. Even if you do know CPR, some cases need the expertise of board-certified emergency medics and physicians. Circumstances like diabetic emergencies, strokes or bone fractures require specialized care that only emergency clinic personnel can give. Ask questions of each hospital in your area about the services provided: Do all triage and lab services operate even on holidays? Are they a full-service hospital with emergency services and specialized treatments? Are nurses, physicians and specialists on hand at all times? For residents of Slidell, La., Slidell Memorial Hospital has all of these emergency services 24 hours a day, seven days a week. This hospital has centers dedicated to oncology, birthing, sleep disorders, heart and SMH imaging. 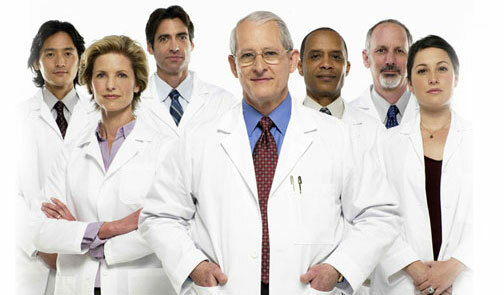 Rehabilitation services and outpatient are also offered. Medical emergencies are already stressful enough. With the proper preparation, you can save lives and lessen the tragic impact that these situations have. Before you head out for a run, walk, or even a winter sport like cross country skiing or snowshoeing, it’s important to take a look at the forecast. Three crucial things to factor include the temperature, moisture, and wind. If, for instance, it’s around 30 degrees (Fahrenheit), the temperature is fairly agreeable for outdoor exercise, but add in moisture and/or wind and it can be difficult and even dangerous, increasing your risk of cold-weather related issues like frostbite or hypothermia. Pay attention to the weather app on your phone or listen to your weather forecaster. If he or she says it’s too dangerous to be outside, take the advice and workout indoors, where you can stay warm and dry. Your comfort and safety, when exercising outdoors, relies heavily on the wearing appropriate layers. When you wear layers, you are insulating yourself against the elements and preventing getting too hot or too cold. When selecting your layers, the first one should be a lightweight synthetic or polyester material that dries quickly and wicks away sweat. The second should consist of wool or polyester fleece and the final layer, which will be exposed to any type of element, should be water-repellent and lightweight. Your clothes should fit well, allowing you to move comfortably and with ease. Never forget a hat, as it helps your body retain essential heat and gloves and a scarf/neck gaiter can be easily removed as your body warms. When selecting appropriate footwear, keep in mind that a heavier shoe/boot may make exercising more difficult and may even put you at risk for injury. If you choose to wear a shoe specific for exercise, make sure it has adequate support, good tread, and consider purchasing a pair that are slightly larger to make room for extra thick socks. As you would (and should) with any exercise, whether indoors or outdoors, it’s important to know your limit. While it’s encouraged to challenge and push yourself, there’s a fine line between working hard and overworking oneself. Listen to your body and take a break when you need one. Don’t forget to hydrate, too. While you’re less likely to feel the need to drink water when the temperatures are cooler, proper hydration is always essential. Your health and safety should always come first, so if that means you must move your workout indoors for a couple of weeks or even a month, be flexible and do it. If you don’t like the idea of going to the gym, consider taking a dance class with a friend, try out an indoor climbing wall, or even take a few laps around the mall. The old saying, “mind over matter”, takes on new meaning when scientists view it in terms of the complaints some older people make during routine doctor visits. Instead of pooh-poohing these concerns as simple age-related worrying (and fear of senility), physicians are being asked to pay more attention to the mind. “The concerns are being taken more seriously,” notes Zaven Khachaturian, PhD, and editor of Alzheimer’s & Dementia, a journal. This concern is even more important, notes Doctor Ron Peterson of the Mayo Clinic, as medicine moves toward earlier and earlier intervention. In fact, this intervention – in the form of clinical trials and ongoing studies – has begun to identify older individuals’ concerns as perhaps the first onset of Alzheimer’s and other age-related mental illnesses like dementia and depression. This disease begins in a part of the brain that controls memory, and causes brain cells to literally die. As it spreads, it can affect a large number of intellectual, emotional and behavioral characteristics, ranging of sociability to personal hygiene and toilet skills. The fourth leading cause of death in America, Alzheimer’s affects about one out of every 100 adults. As of 2015, 5.2 million adults over 65 were afflicted with Alzheimer’s. More than 200,000 under 65 also had the disease. The odds of developing Alzheimer’s climb by 400 percent among families where it is prevalent. Alzheimer’s is the 6th leading cause of death in the United States, with similar rates occurring all over the world in developed nations. The first symptom of Alzheimer’s and it’s affect on the mind is usually a loss of recent memory: that is, what has occurred, or what must be done, within the last few hours or days. This can range from forgetting to turn off the oven to forgetting medication. Later, Alzheimer’s patients will have trouble working with numbers, and this shows up when they are unable to calculate the exact cost of several things, or when paying bills (versus the amount of money in the checking account). Ultimately, Alzheimer’s patients will forget where they live, the names of loved one, or recent events. They become, first, quarrelsome and difficult, and then remote, and are unable to physically care for themselves. Dementia simply means “loss of mind”. When it occurs among elderly people, it is labeled senile (for “senior”) dementia. There are a number of kinds of dementia, ranging from Alzheimer’s to Lewy body dementia or vascular dementia (which results from changes to blood vessels in the brain). They also include such esoteric names as frontotemporal dementia. Dementia is associated with certain diseases, notably Parkinson’s disease and Huntington’s chorea, or disease. Senile dementia, which was once a used as a diagnosis, is no longer valid, but doctors often retain the term because it describes the failure of mind associated with simply aging. The likelihood that a person will develop some form of dementia depends on age, family history, alcohol and tobacco use, high blood pressure, diabetes, and high cholesterol. However, because aging makes us all a little less sharp and focused, some older people who are merely forgetful may accidentally be labeled with dementia when in fact it is simply a normal effect of aging. Forgetting to take medications, taking too many, or forgetting to drink fluids can also lead to symptoms similar to dementia, and result in false diagnoses. So far there is no cure for Alzheimer’s, though much significant work has been done on diagnosing its cause. Pets. Having a pet is important for single seniors, but not always possible. Pets can help prevent the anxiety and depression typical of aging, but not every older person is capable of caring for an animal, or wants one. Hobbies are also helpful because the focus the mind, create pleasure, and usually deliver a tangible reward – at least to the hobbyist. But as the hands lose their dexterity, the eyes their acuity, and the general health its stability, hobbies may also become more and more difficult. In the health arena, the three most important developments of the last 100 years are disinfection, microsurgery, and pharmaceuticals. The first two continue to deliver benefits to the ill and injured. The third, pharmaceuticals, produces some spectacularly effective results. Think Advair Diskus, without which some asthma sufferers would have died, or Synthroid, the synthetic thyroid hormone that has allowed hypothyroid victims to live more or less normal lives. If that isn’t convincing, think of the lives both Amoxicillin and Azithromycin – powerful, broad-spectrum antibiotics – have saved. Or Metformin, one of the oldest diabetes drugs on the marketplace, and still one of the best blood sugar regulators available. Metformin is also used to treat polycystic ovary syndrome, or PCOS, and may in future be used to treat the symptoms of aging like heart disease, senility, and cancer. It may even be used to extend the human life span to 120 years! German pharmaceutical company Grunenthal GmbH received a patent for thalidomide in 1954, and as soon as 1956 began marketing thalidomide for morning sickness, insomnia, coughs, colds, and headaches. It took another five years for the drug to produce enough deaths and deformities that the public demanded its removal. In 1961, thalidomide was taken off the market after causing serious birth defects in about 10,000 children (half in West Germany), and deaths in another 2,000 children. Even though thalidomide’s effect on the fetus occupies only a 13-day window, the results were horrendous. Arms and legs failed to develop. Less frequently – but more fatally – organs failed to develop. Thalidomide babies were also born without eyes or ears. The class action lawsuit in Germany was dropped, presaging the way future pharma lawsuits would be handled if tort reformers got their way. Either that, or lawsuits would be handled out of court, giving lawyer-rich Big Pharma the field advantage in every case. The New Zealand thalidomide suit was finally settled in 2013, for $81 million U.S. dollars – a far cry from the actual costs, but better than nothing. Because the drug was never actively marketed in the United States, thanks to the FDA’s reluctance, no suit has ever been brought to trial successfully. In 2013, U.S. District Judge Paul Diamond allowed 50 lawsuits to go ahead, rejecting arguments that the statute of limitations vis à vis thalidomide had run out. In spite of that, the cases continue to be contaminated with charges of “bad-faith advocacy”, as one firm – attempting to dismiss presumably non-winnable cases en masse – refused to let a special investigator interview the plaintiffs, who were apparently never fully informed of their rights or of the likelihood of success. The thalidomide tragedy prompted the U.S. Food and Drug Administration, or FDA, to tighten its regulations surrounding drug development. Unfortunately, 15,000 individuals – give or take a hundred – are not enough to oversee the yearly development of about 50 new drugs, and the continuing production of about 500 drugs (out of 1,500 approved since the FDA began its work in 1938). Even though pharmaceutical development is no longer the “Wild West” of the medical industry, mistakes continue to happen. Drugs continue to find their way into the marketplace with inadequate or improper testing, and the FDA continues to behave, perhaps inevitably, like a long-tailed cat in a room full of rocking chairs. Some of the more egregious failures (i.e., drugs dropped from production, recalled, or involved in lawsuits) include Actos, a diabetes drug, fluoroquinolone (an antibiotic), Yaz (birth control), and Zoloft (an antidepressant). In addition, there were the medical scopes from Olympus Corp. – scopes about which an Olympus company official told American executives not to warn hospitals. Not a pharmaceutical, granted, but a good example of how design and manufacturing flaws combined with advertising and sales efforts, can make products dangerous. If you or a loved one is taking prescription medication, the best advice is “let the buyer beware (caveat emptor)”, because the FDA can’t be everywhere. If you experience side effects or widespread discomfort, consult your doctor. There are other treatments available. You might even want to consider “natural” or holistic remedies, which can range from acupuncture to Ayurvedic or Chinese medicine, – even to herbs, spices and over-the-counter vitamins and supplements. Walking doesn’t get enough attention. In a world of high-energy, intense workout routines like Crossfit and extreme kayaking, the simple walk often gets left out of the spotlight. To too many people, walking is the Werther’s Original Candy of exercise: plain, unchallenging, and appealing to an unglamorous crowd. Walking is a great exercise, though, and it has some benefits you’re unlikely to find in other places. Walkers understand that not all workouts have to be high-stress or high-impact. A walk is good for your body and mind. When you start walking, expect to see some of these changes in your life. Walking will help you lose weight. 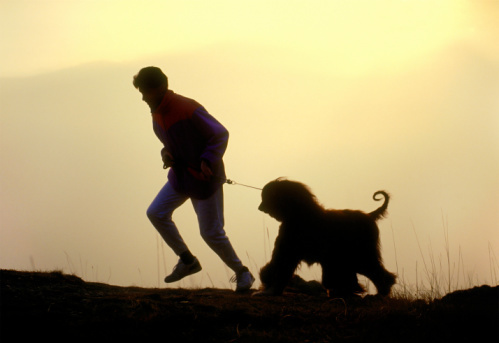 If you get a brisk walk in for 40 minutes day, you’ll burn a significant amount of calories. Combined with healthy eating routine, walking can be one of the healthiest choices you make each week. And walking is easy. The low stress involved in a daily walk means that you can easily get into the habit. And it gets you off the couch. For those of you who need to monitor your blood sugar closely, walking can be the perfect exercise. You’ll burn carbs at a reasonable pace, and—unlike with higher energy workouts—you won’t be in much danger of running your body into hypoglycemic levels (even if your blood sugar gets low, you’ll have to time to feel it coming and react). Of course, speak with your doctor ahead of time before beginning any exercise routine. People’s needs vary from person to person. Walking helps you on the way to happiness and stability. When you walk, your brain increases production of chemicals associated with good feelings. Beyond chemistry, you’ll simply feel good when you get fresh air, focus on your surroundings, and get your heart rate up. Bonus points if you’re outside—walking in the outdoors, in the presence of trees, wildlife, and running water, imparts strong benefits on the brain. Walking poses far fewer health risks than do other exercises. As long you stretch, wear good shoes, and pay attention to your body’s needs (and doctor’s orders), you’ll be at low risk for the problems associated with running, such as joint and bone strain, or higher tech exercise—even bicyclists need to watch out for car doors, debris in the roads, etc. As a walker, your likelihood of tripping over a surprise downed branch or struck by a vehicle is much lower than it would be if you were engaging in other exercises. Walking has the potential to be a very social event. Social engagement is an integral part of your health, believe it or not, and your nightly walk can be an essential part of your social life. Walkers will tell you they have some of the best talks of their lives while out for strolls. Walkers tend to be thoughtful, introspective people with a lot to say. If you put together a walking group, you’ll develop important friendships. You might even strengthen your marriage if you and your spouse make a regular walk date. We often talk about wanting to live our life to the fullest. We want to life as we want with the freedom to eat and do as we desire without limitations. Unfortunately as we age, our bodies change, and living the lifestyle that you lived in your teen years and even your twenties may not be an option. Who doesn’t love juicy hamburgers, pizzas and sodas? Enjoying life and eating whatever we want is enticing, yet it’s not always practical. What we eat eventually catches up with us and can lead to disease or other issues like a high cholesterol or high blood pressure. If you are experiencing high blood pressure, it is imperative that you visit a doctor. Your physician will guide you in making specific changes to your lifestyle and diet that can make way for a healthier you. It may require sacrifices that you may not like, but making changes to your diet may the answer to lowering your blood pressure. High blood pressure can lead to dire health conditions like heart disease, a heart attack, and damage to the heart and arteries. It is no laughing matter. If you’re experiencing any of these conditions, it may be time to make some serious changes to your diet and lifestyle. Be aggressive with your wellness. Start researching ways to lower your high blood pressure! Sometimes our blood pressure rises with our daily lifestyle choices. Stress can also be a factor. Consider the following options to help you keep your blood pressure in check. Lose weight. It is sad but true that weight gain can affect your blood pressure. Being overweight can disrupt your breathing, and affect your sleep. Losing just ten pounds can help reduce your blood pressure. Women are usually at risk for high blood pressure if their waist measurement is greater than 35 inches. Reduce anxiety. Stress can induce anxiety and cause your blood pressure to rise. Learn to not take the entire world upon your shoulders. You can’t fix everything, so stop trying to. Make it a goal to eliminate stress triggers from your life. And if you’re an anxious eater, try to divert your stress by staying active or doing some yoga. Limit alcohol consumption Alcohol can reduce your blood pressure if taken in small amounts. But like anything in life, moderation is key. If you enjoy a little wine with a meal or while reading a relaxing book by the fire, try to drink in small amounts. Drinking more than moderate amounts not only raises blood pressure, but it can also reduce the effectiveness of the medications you’re taking for your blood pressure. Change your eating habits. Eating a well-balanced diet that includes fruits, vegetables, whole grains is essential to maintain overall health and wellness. Speak to your physician about a specific diet. Many doctors and medical experts call the Mediterranean diet the answer to a well-balanced meal. Stay positive and maintain discipline! Mindset is key in wellness. Eating healthy foods that help you maintain wellness and balance is key to a healthier you. Keep a journal if you must and strive for a healthier lifestyle. You are well worth it! If you’ve made the choice to live in a warmer climate, the summer months are probably some of your favorite months of the year. With beautiful weather and a brightly shining sun, it’s hard to stay cooped up inside. You can ditch the gym and instead revel in that fresh, natural air as you exercise. The problem though is the heat itself. If you live in an extremely warm climate, the heat can be almost unbearable. The last thing you want is to pass out from heat exhaustion. Check out these 10 tips for exercising safely in the heat of the summer. This is (somewhat obviously) the number 1 important factor for exercising in the heat. Really, it’s the most important tip for safely exercising in any temperature. Body temperature increases even more when you exercise in hot weather, so it’s important to keep yourself cool by drinking water during and after your workout. It’s best to make it out in the morning when the air is still cool, or go outside as the sun is setting or even later in the evening. Give your body time to get acclimated to the heat. Don’t push yourself too hard to begin with. You might even start by exercising in the heat for just a few minutes at a time. Heat and humidity will wear you down much quicker than milder temperatures. Remember that even if you can’t do as much as you normally can, that’s completely typical of exercising in the heat. Don’t beat yourself up about it. Running barefoot, and especially through sand, can help reduce impact-related injuries. Plus, you’ll get that cool ocean breeze even when it’s sweltering outside. You’ll also have the perfect place to take a dip after you get done with your workout! Keep your energy high by snacking on healthy goodies throughout the day. Juicy snacks like grapes, apples and oranges are a great way to keep you hydrated as well. Imagine stepping barefoot onto dark asphalt in the heat of the day. How hot is it? Dark colors absorb heat, so you end up getting incredibly hot if you’re wearing dark clothing. Think about the material too. Try to wear wicking fabrics and avoid heavy cotton. The looser the clothing, the more air will be able to circulate across your body and the cooler you’ll be. If it seems way too hot to even be outdoors, why not try an activity in the water? Swimming is an awesome way to really get a workout and not overheat. Any ocean, lake or pool will do! Heat exhaustion can happen quicker than you’d think. If you’re going to be exercising outdoors, it’s a good idea to bring a buddy along just in case. If you’re body is physically telling you to give it a rest, listen to it! Exercising in the heat can be far more challenging than in more moderate temperatures. Know when enough is enough. Make sure you’re getting enough sleep at night as well to let your body fully recharge.